Forward-thinking brands continue to partner with digital media stars, and the stars continue to reward those brands by driving massive sales figures. 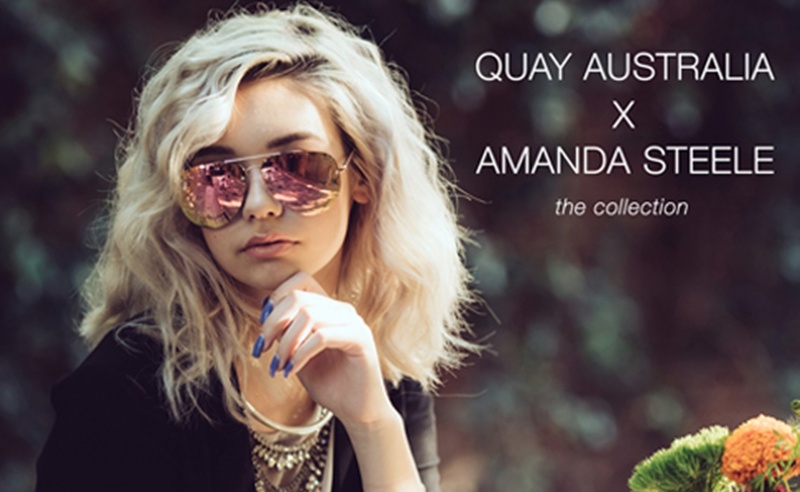 The latest example of this trend comes from Down Under, where sunglasses company Quay Australia rapidly sold out one design from a new line branded by American YouTube star Amanda Steele. I CANT BELIEVE THIS! THE MUSE SUNGLASSES IN MY @quayaustralia LINE ARE ALREADY SOLD OUT??? YOU BETTER GET ENVY BEFORE THOSE ARE GONE TOO! Steele, who releases beauty, fashion, and “haul” videos on a channel called MakeupByMandy24, is one of the youngest content creators to achieve YouTube stardom. She began making videos at age 10, and six years later, she has pulled together a strong following of more than 2.5 million subscribers. Her influence has opened up plenty of other branded opportunities for her as well; she is one of the YouTube beauty stars who has released her own makeup palette alongside BH Cosmetics. Steele’s sunglasses line can be purchased on Quay’s website. It’s also available from Urban Outfitters, both online and in stores.